While on my summer vacation to Vermont, my boyfriend and I planned to stop at all of the top tourist spots in the area. After a few craft breweries, gastropubs, and the Ben & Jerry’s factory, we found ourselves at the Green Mountain Coffee Roasters Visitor Center and Cafe. Buried deep in the green Vermont mountains, and down the road from the corporate facility, lies an old train station that has been converted to a small coffee shop. Inside this building, the Green Mountain Coffee Roasters offer educational information on their company history, the farming and brewing processes, merchandise, and of course freshly brewed coffee beverages. With both of us being graphic designers, it was not long until we realized that Green Mountain had updated its logo yet again. Because the company had previously rebranded in 2014, I decided to do some digging to see just what has changed over the years. 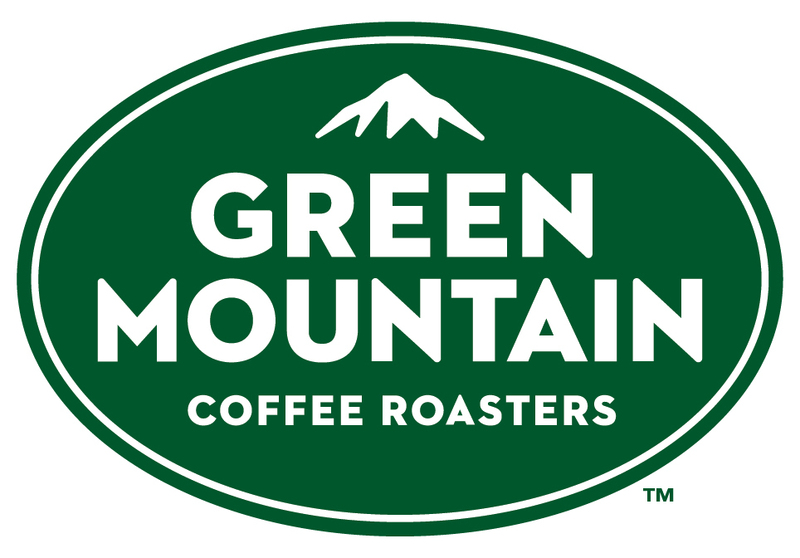 For a company that has been around since 1981, Green Mountain Coffee Roasters have just rolled out their sixth logo. For simplicity of this post, I will only reference the most recent four. With each update, Green Mountain has subtly altered their logo in a way that simplifies a specific element. In 2008, the company chose to drop the term “roasters” and reduce the illustration of coffee beans to just one. In 2014, the serif typeface was swapped for a chunkier, san serif one that gave it a bolder, trendier look. The coffee bean was also reduced in this version by becoming the ovular shape in the background that is seen with the negative space of the wave and mountain. Finally, in the latest update, the typeface has been streamlined yet again to a simpler, more legible sans serif typeface that remains clear at even very small sizes. The textured background was also reduced to one solid color that lends itself nicely to both digital and print materials. 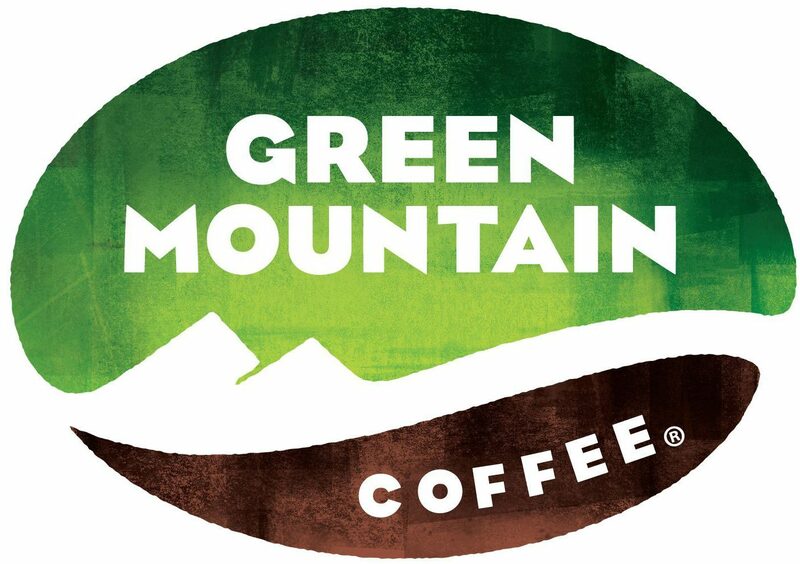 As for the coffee bean motif, it has been replaced with a mountain motif instead, which is cleverly only complete once the stacked “Green Mountain” type is placed beneath the mountain peak at the top. 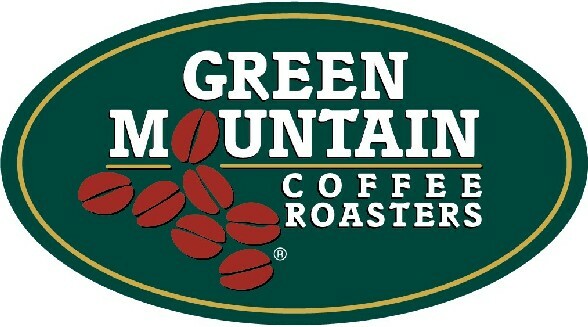 Then, to bring it back to the 1994 logo, the company chose to put the most emphasis on “Green Mountain” and bring back the “Coffee Roasters” type in a small size beneath it. In terms of moving the brand identity toward cleaner and simpler logo that fits into current design standards, I’d say that Green Mountain has definitely succeeded. Rather than jumping to a completely separate look that suffers backlash and criticism (like Instagram), the coffee roaster brand allowed it’s logo to evolve slowly and naturally (similar to Google). With these small, subtle updates, there is continued brand recognition and yet the identity is able to feel fresh and current every time.